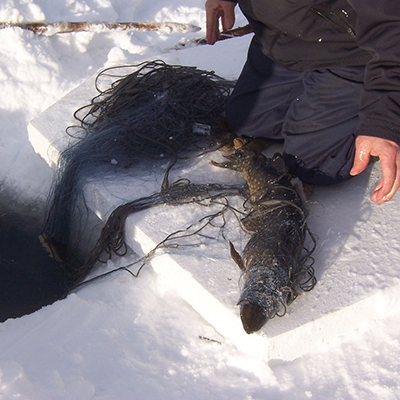 In the winter, continue enjoying the simple pleasure of fishing with our ice fishing supplies. From portable seating and heating solutions to ice saws, augers, and chisels to help you open up a hole in the ice, we have it all. Whatever kind of fishing trip you’re planning, Sylvestre Sporting Goods has the reels and rods for it. From deep sea fishing to lake, river, and ice, if you want to fish it, we have the gear. Our selection of rods and reels encompass options for all skill types and angling method, and our associates will help you find the right combination for your interests. Having the right tackle is important. 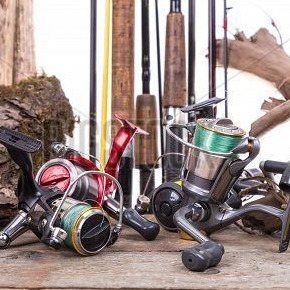 Fisherman know that Sylvestre Sporting Goods stocks the top brands in the industry, and we have a wide selection to accommodate various fishing styles, conditions, water, and type of fish. 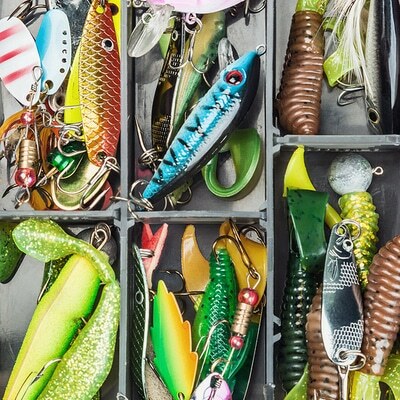 We also carry a variety of synthetic lures and live bait. Unsure what you think will bring in bites in this area? Ask any of our associates, who have fished the area around Sylvestre Sporting Goods and can help get you geared up—hook, line, and sinker.